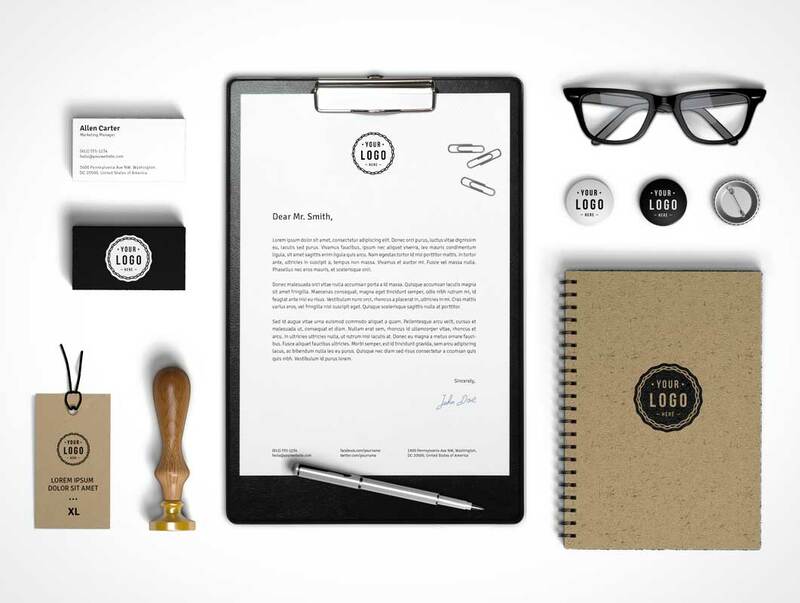 This PSD Mockup renders your corporate branding onto front facing stationery scene. The layout includes elements such as a pair of spectacles, business card stacks, corporate seal, clipboard with letterhead, flair buttons and cardboard fibre sketchbook. Other items such as a steel ballpoint pen and tag label on a string are also included.